This is the Jujitsu scroll, made in a batch for the same customer in central US. It has a gold on white karakusa, with a gold/khaki cloth that has a pattern. 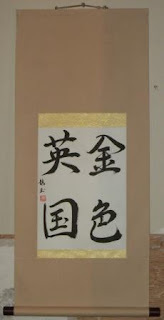 It is finished with a gold hanging string and a plastic jikusaki. This is another small scroll ordered in a bunch to the central US. Originally the one doing the ordering wanted it to be God's Way...which could have been interpreted as the Shintou religion. 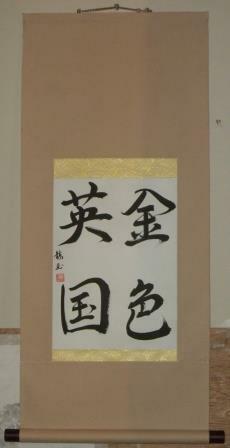 We settled upon the phrase Kami no Mikokoro which would be God's Will or God's Way. I used the light blue cloth to symbolize looking up towards the heavens and a strong gold and silver color for the ichimonji. 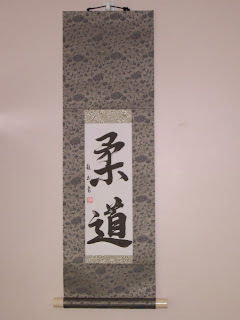 If you would like a custom scroll made for yourself or someone you know, please contact to sales@customjapanesecalligraphy.com or go directly to my site at www.shop.customjapanesecalligraphy.com. This was on the same order to a martial arts studio in the central US. 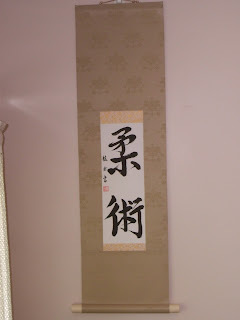 It reads Judo. 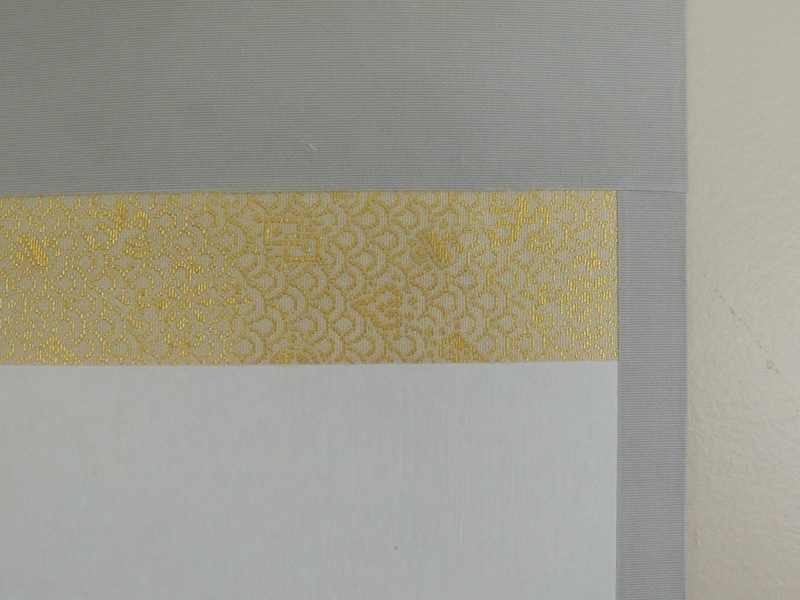 I used a gold with a blue karakusa (arabesque) as the primary cloth and a Ginran for the Ichimonji. 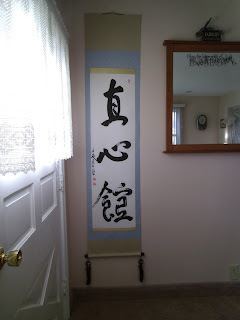 It was completed with a Kon (Navy) hanging string. All of these were finished with the ivory plastic jikusaki. 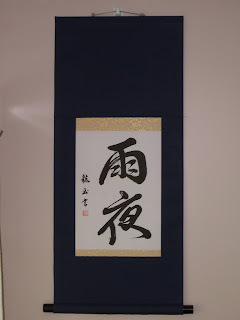 This is written in Gyousho (semi cursive) japanese calligraphy by Yoshimi Yamada Maples (Ryugyoku). This was on the same order to a martial arts studio in the central US. It reads Aikidou. 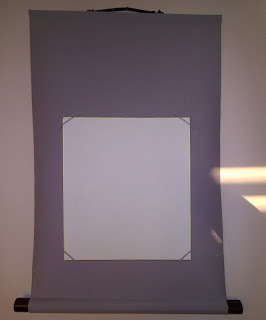 I used a purple ichimonji, with a wine color silk. 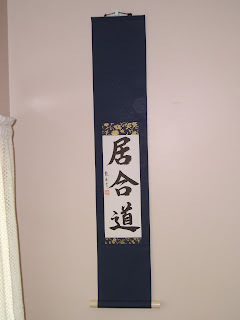 It is finished with a purple and gold hanging string to match the Ichimonji. All of these were finished with the ivory plastic jikusaki. This one is made with a shiha cloth that has a small karakusa. The smaller karakusa makes it easier to match patterns and designs when assembling. 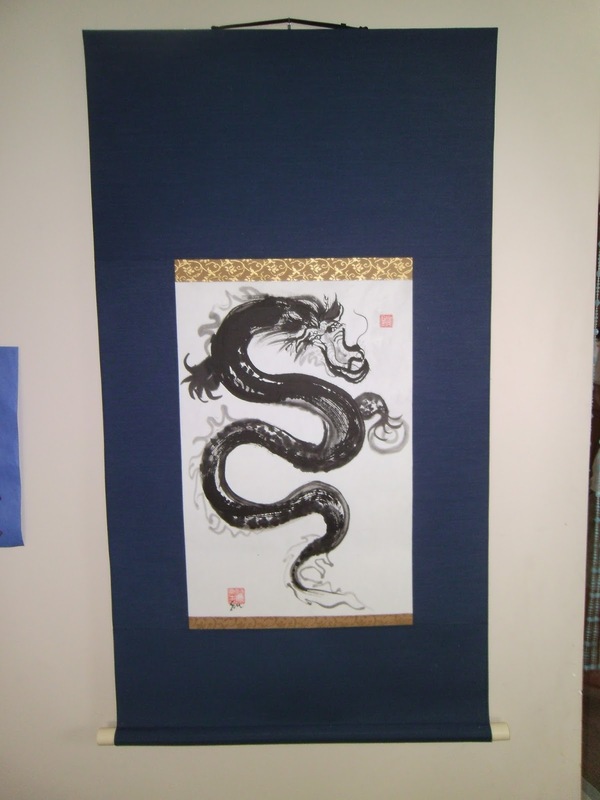 It has a gold tint, and is very beautiful. 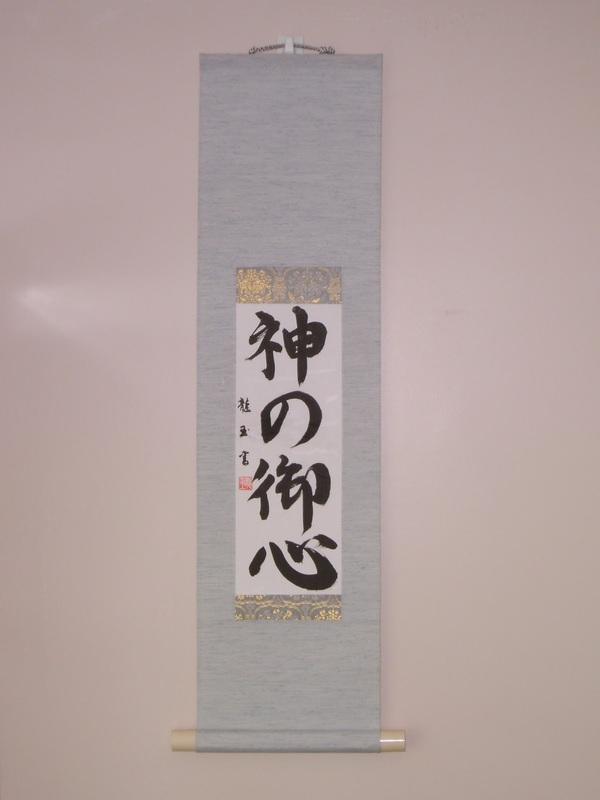 The writing is Iaido in Gyousho by Yoshimi Yamada Maples, (Ryugyoku) It is completed with an usukin (light gold) hanging string. The Ichimonji is a kinran cloth with a large karakusa pattern. It has a small gold Karakusa on a Green cloth. 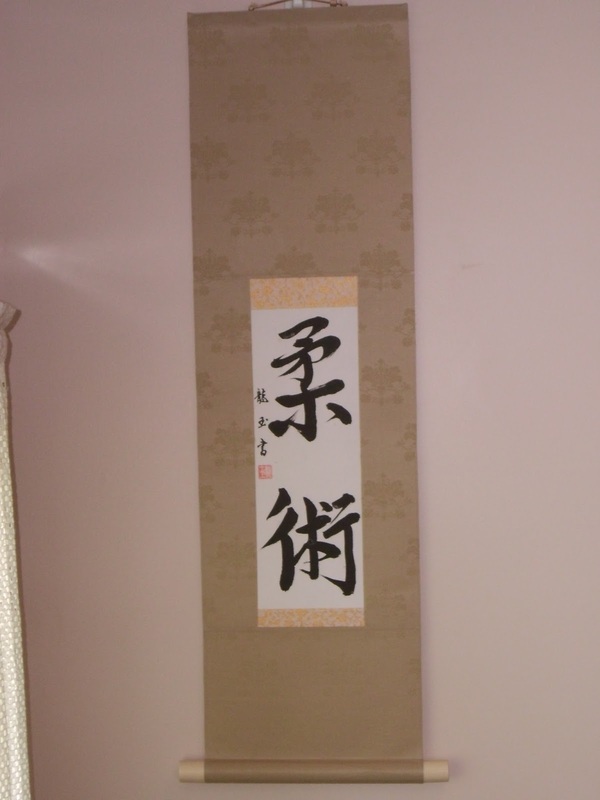 The Ichimonji bordering the work is a large karakusa or green and gold on brown. 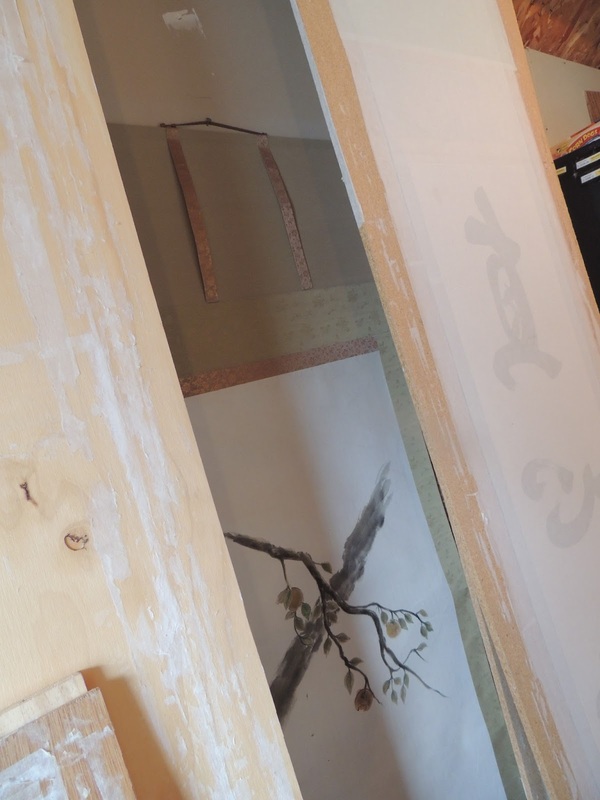 The hanging string is a Ugui or green color. It is completed with ivory, plastic jikusaki.